This is my signature style exclusive to Infinity Flowers. 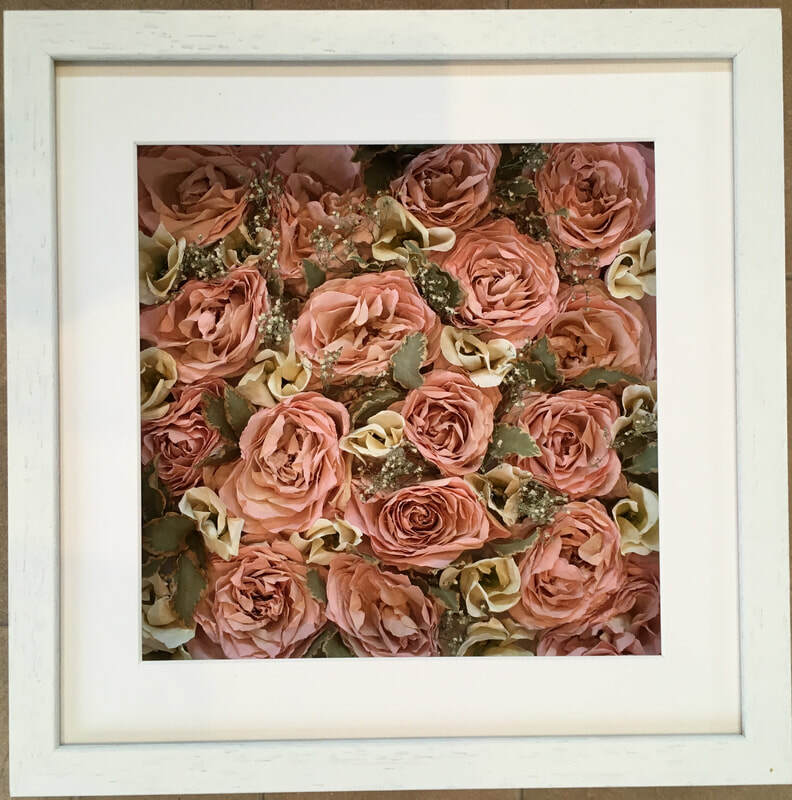 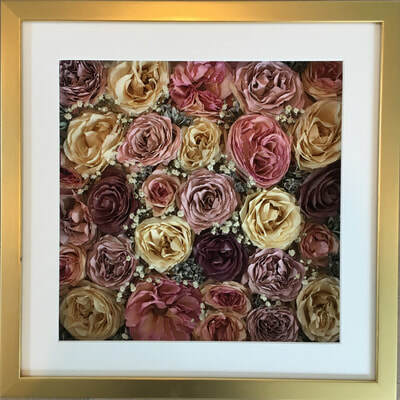 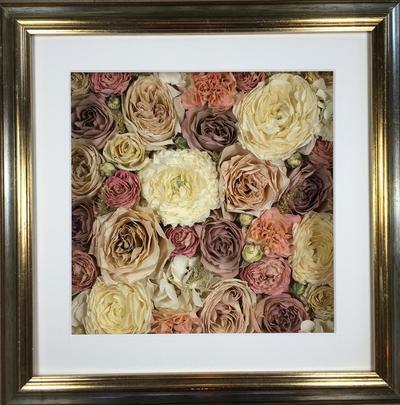 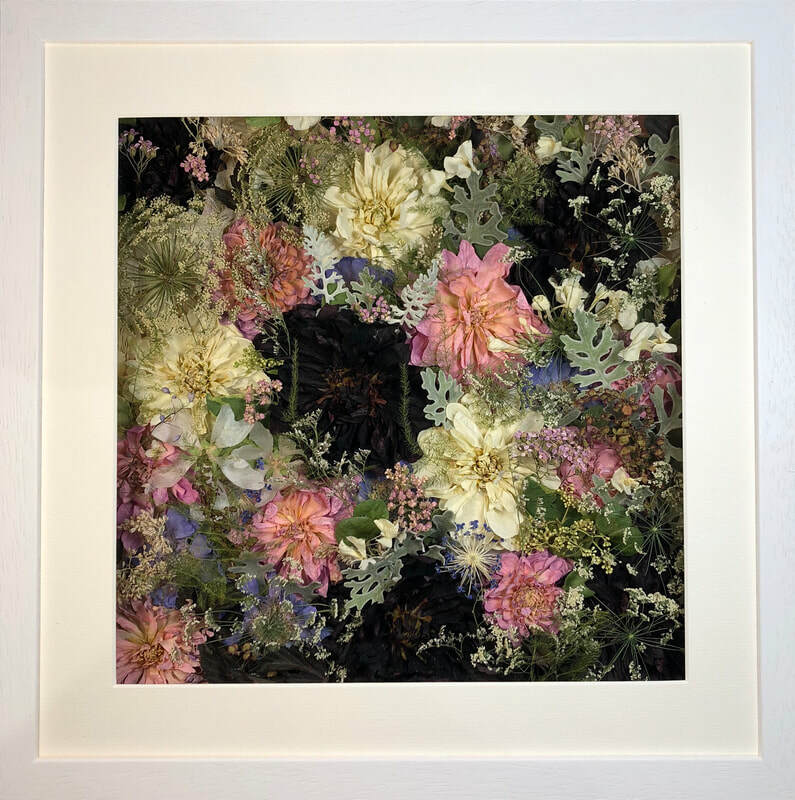 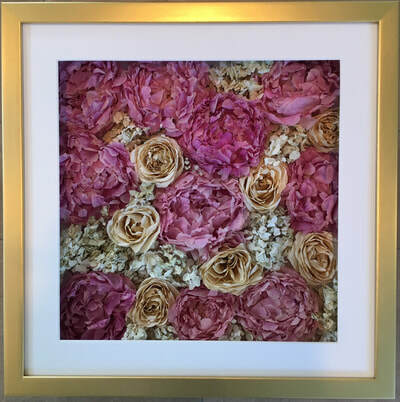 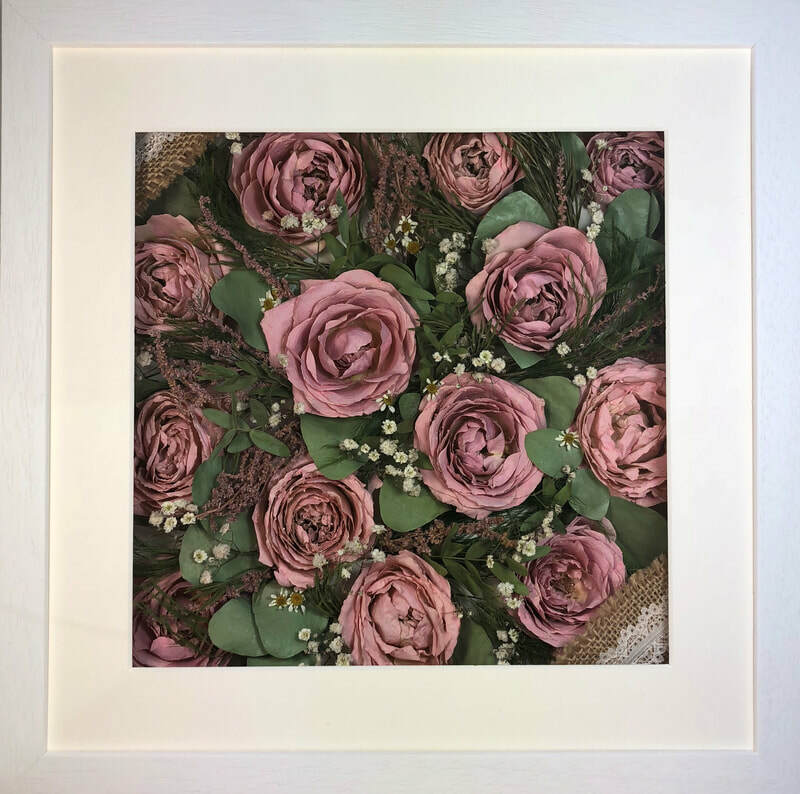 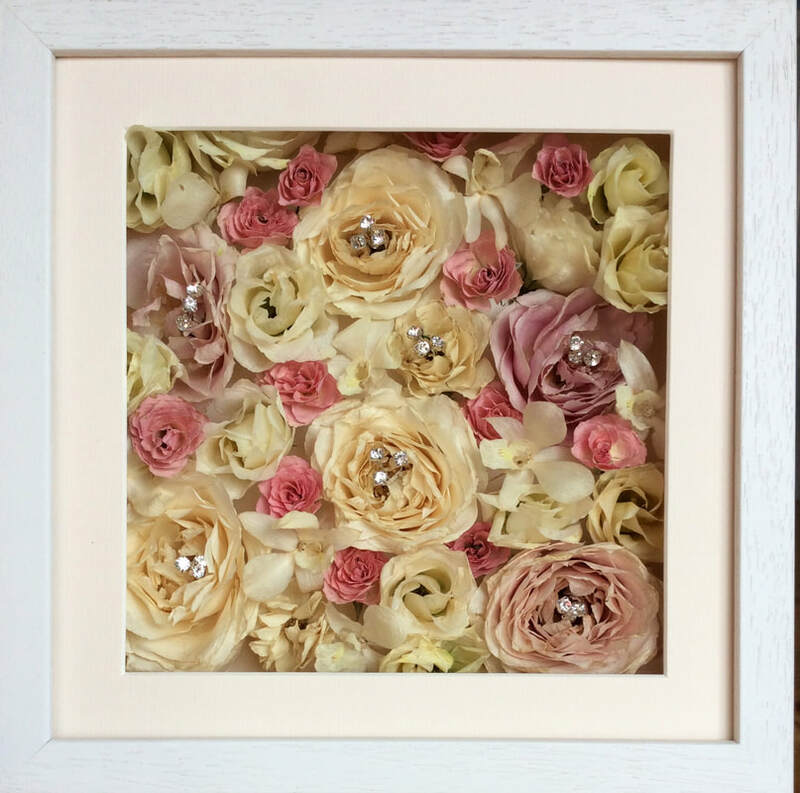 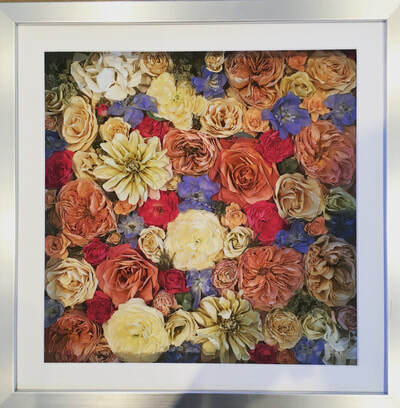 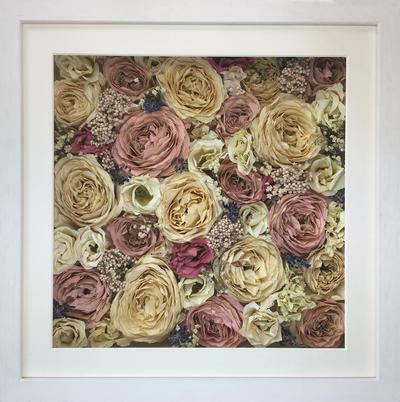 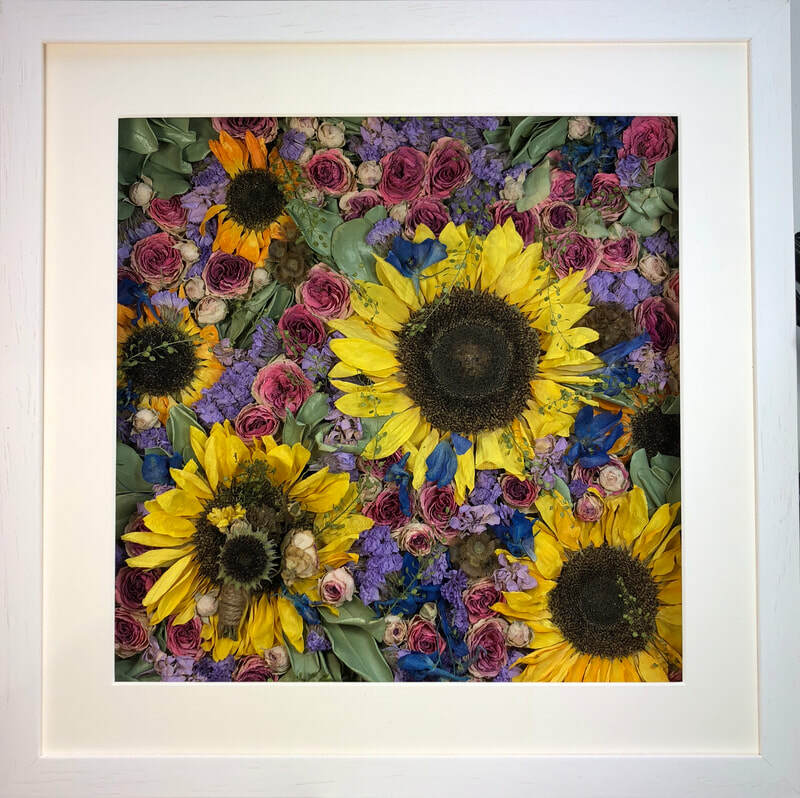 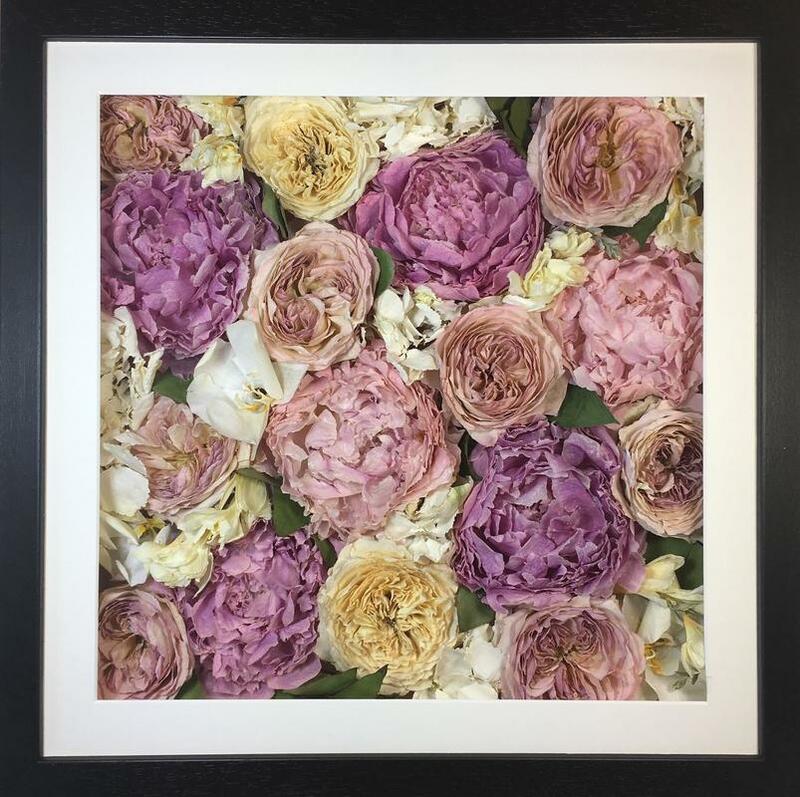 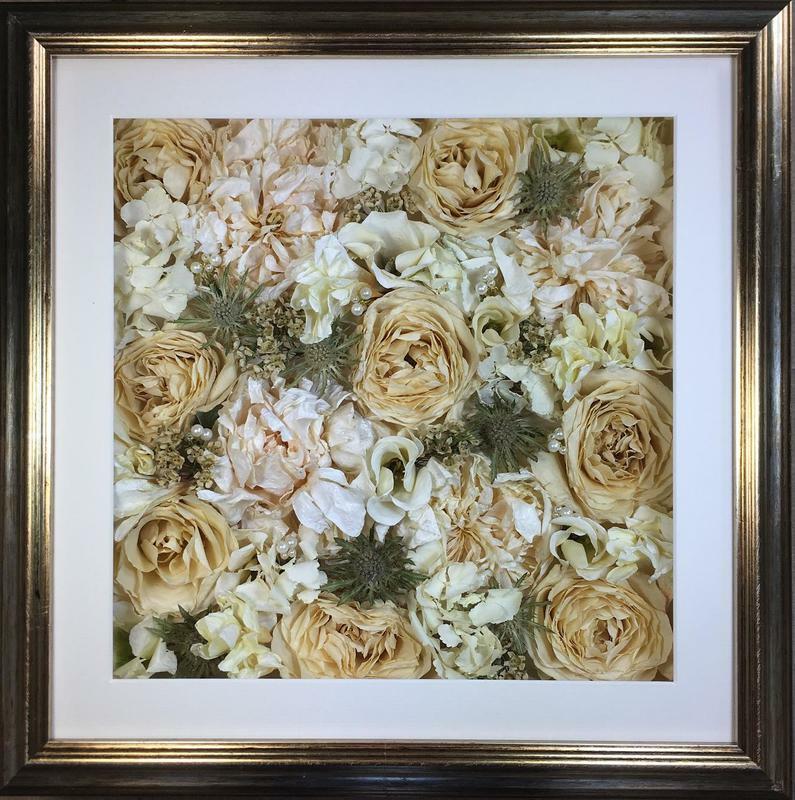 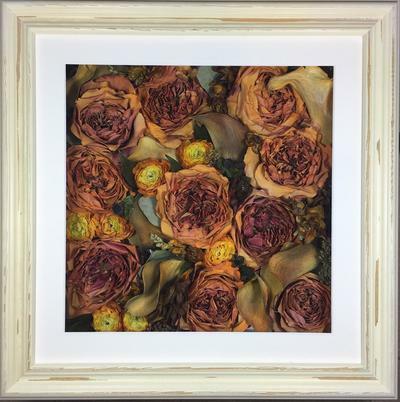 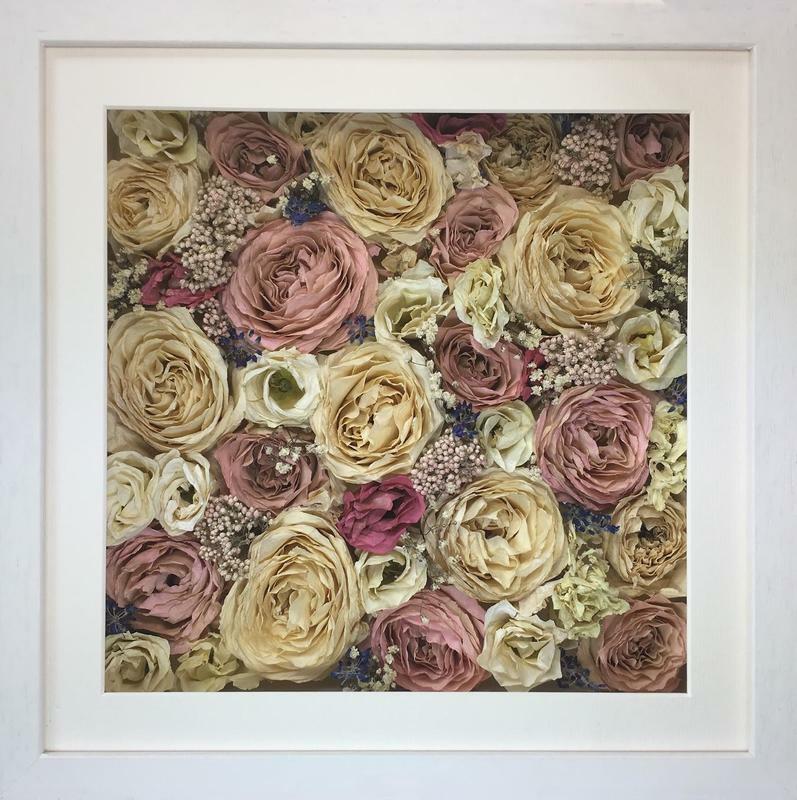 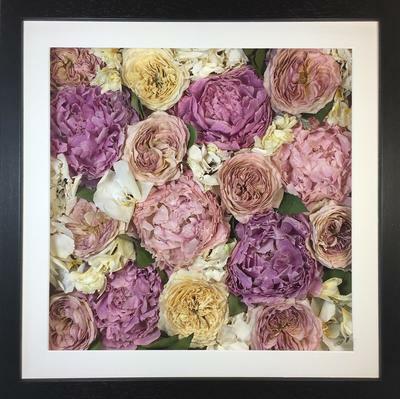 Instead of arranging your flowers as they looked on your wedding day, the flowers will fill the whole frame in an abstract style. 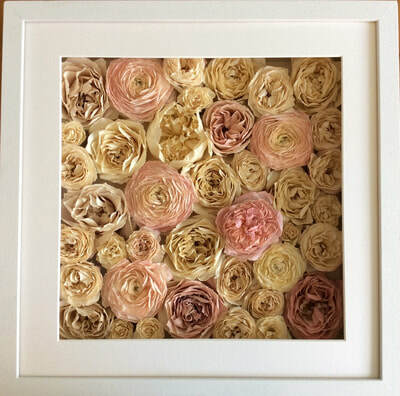 Your bouquet will be carefully disassembled and each flower will be individually preserved by hand. ​This special 3D preservation technique ensures that the size and shape of the original flowers are maintained. Colours can change a little but not unrecognisably. 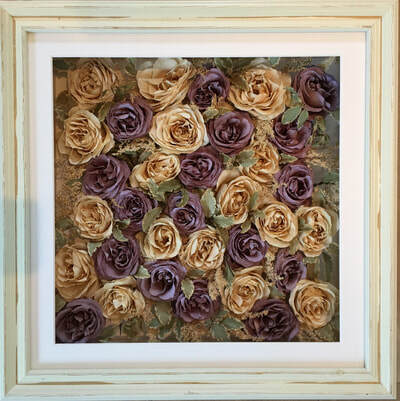 You will be amazed at how realistic they will look in the finished piece. 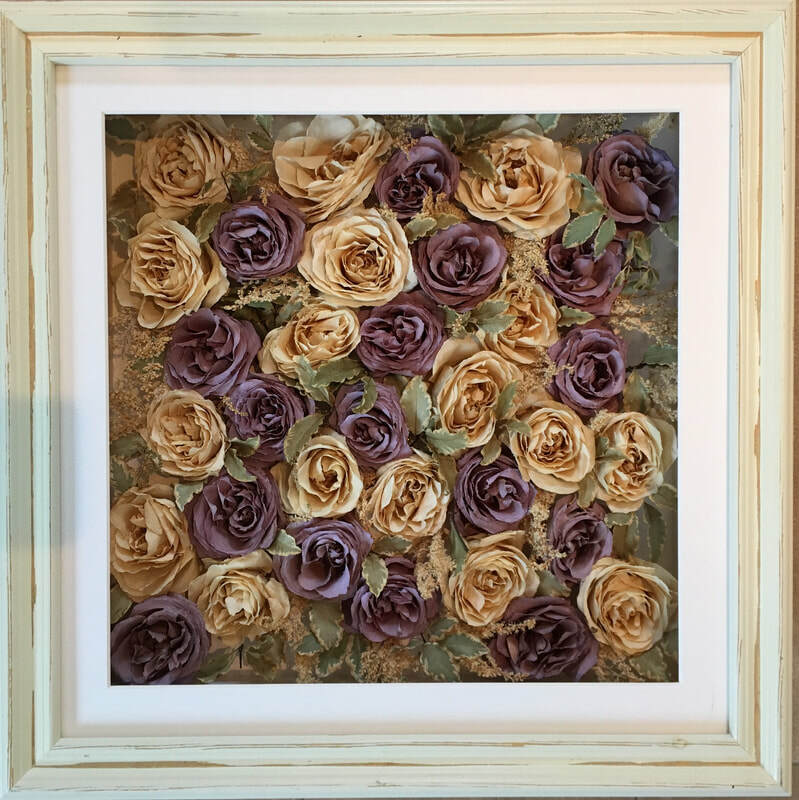 You will end up with a beautiful piece of floral artwork and your friends will be amazed when you tell them that it is your wedding bouquet.